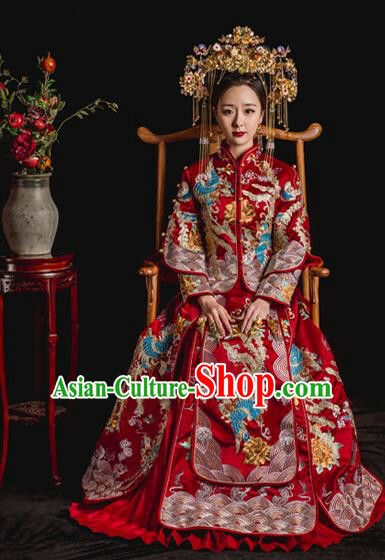 Color: If you like the original color most, you do not need to select it or simply select Same as pictures. 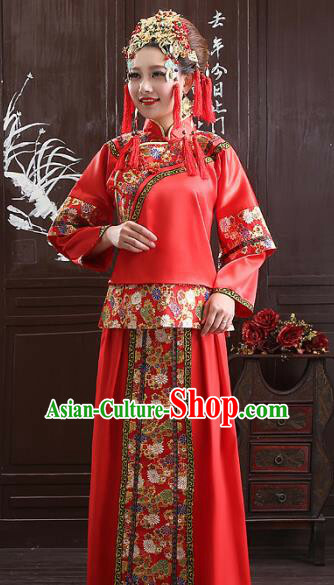 If you wish to change the primary color, you may select it based on the color chart. 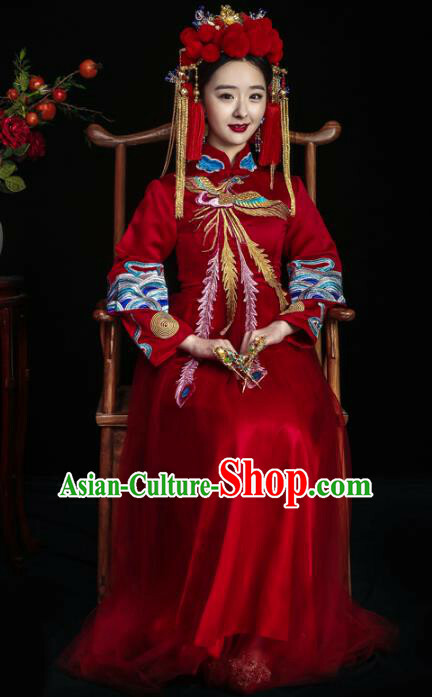 Or you may select Free Custom and leave us a note containing your detail color requests on the order form. 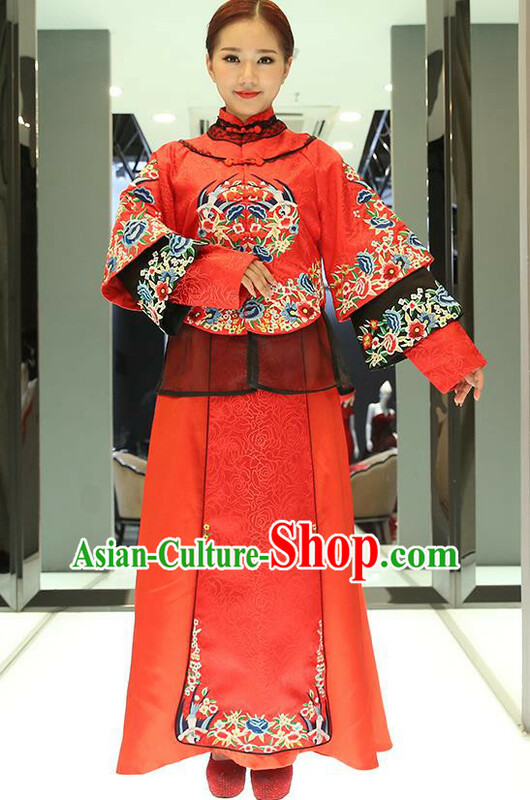 Free Urgent Custom-made Clothing Service: If you choose to customize it, it takes 1-2 weeks for our top traditional tailors team to finish. 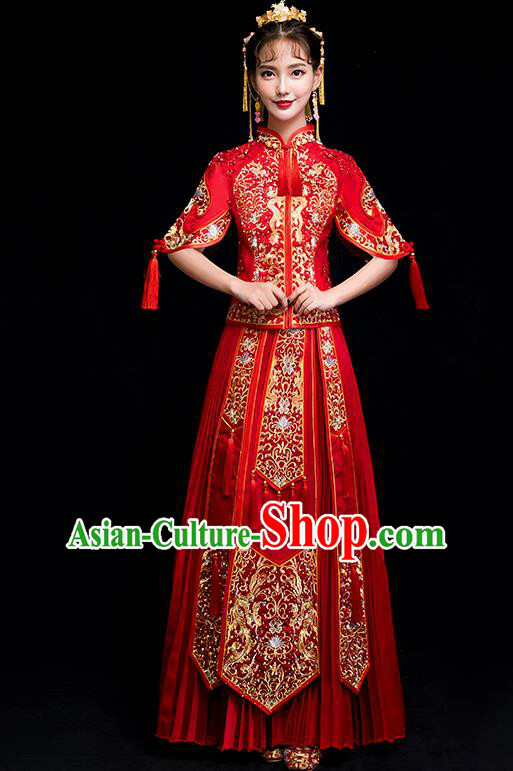 If you need to receive it urgently, feel free to leave us a note about the receipt date. 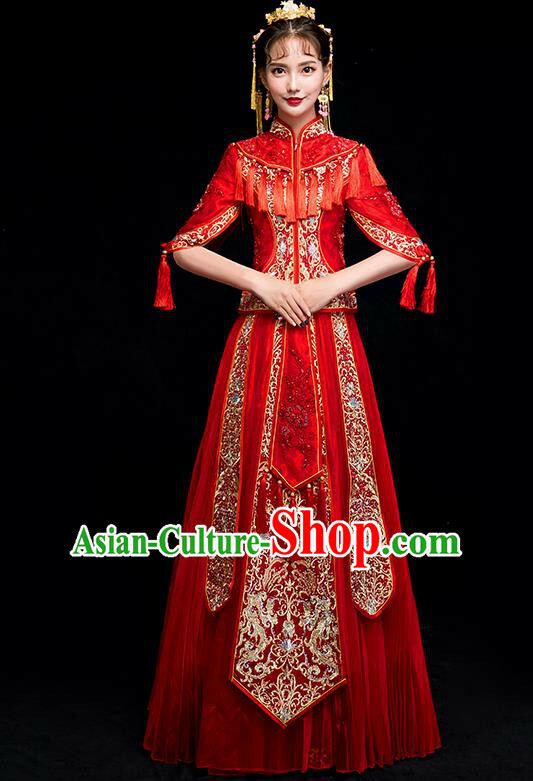 Then we will specify your order as urgent and help you receive it in time without additional cost! 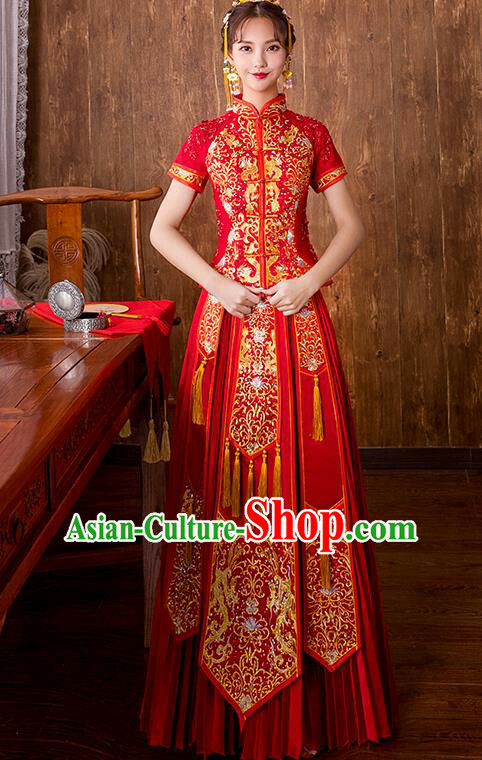 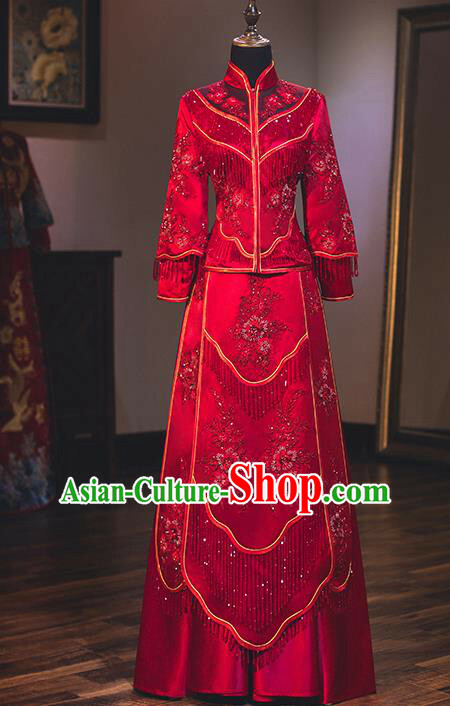 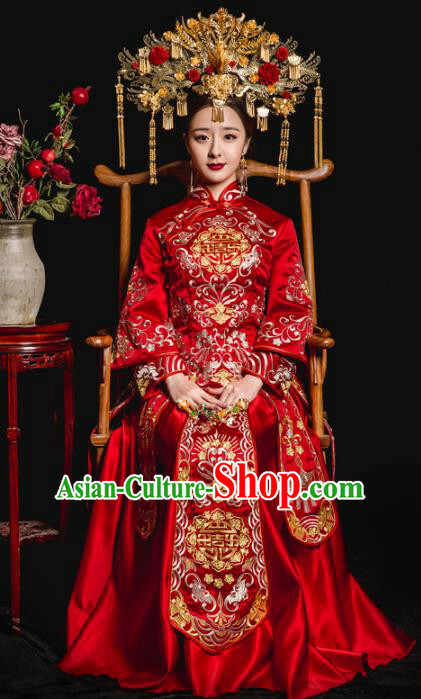 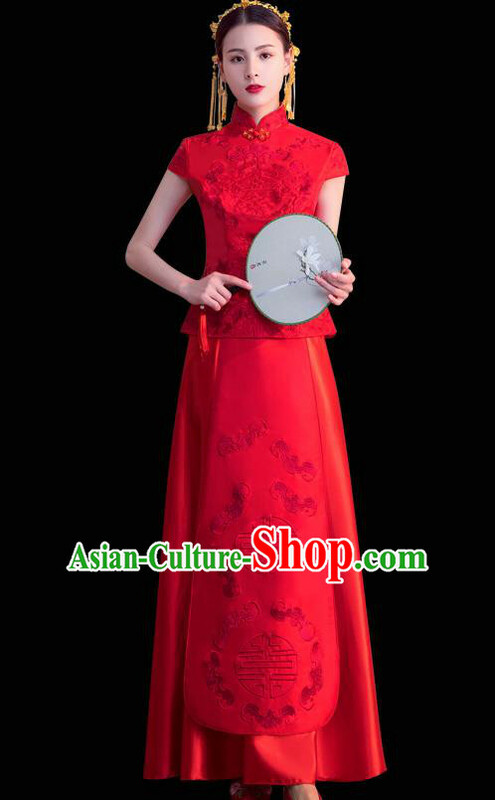 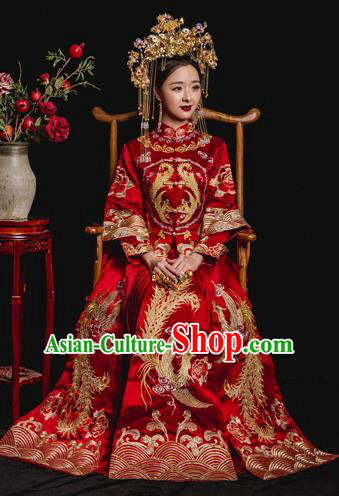 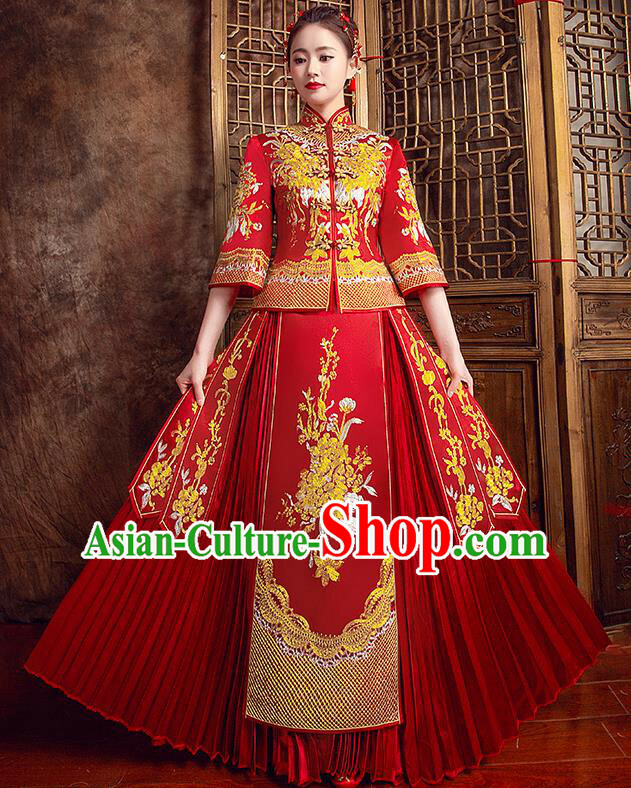 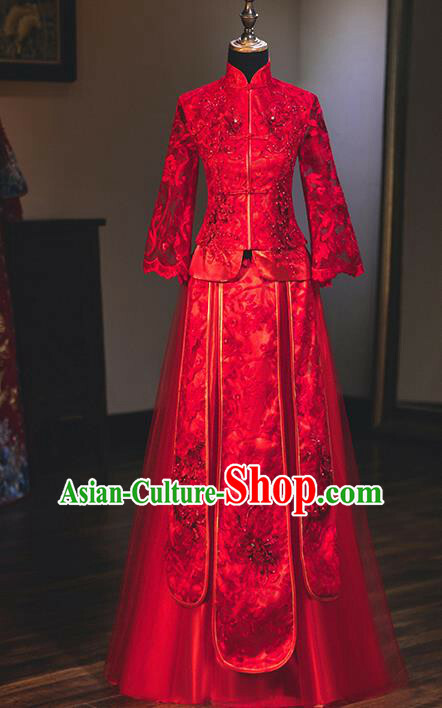 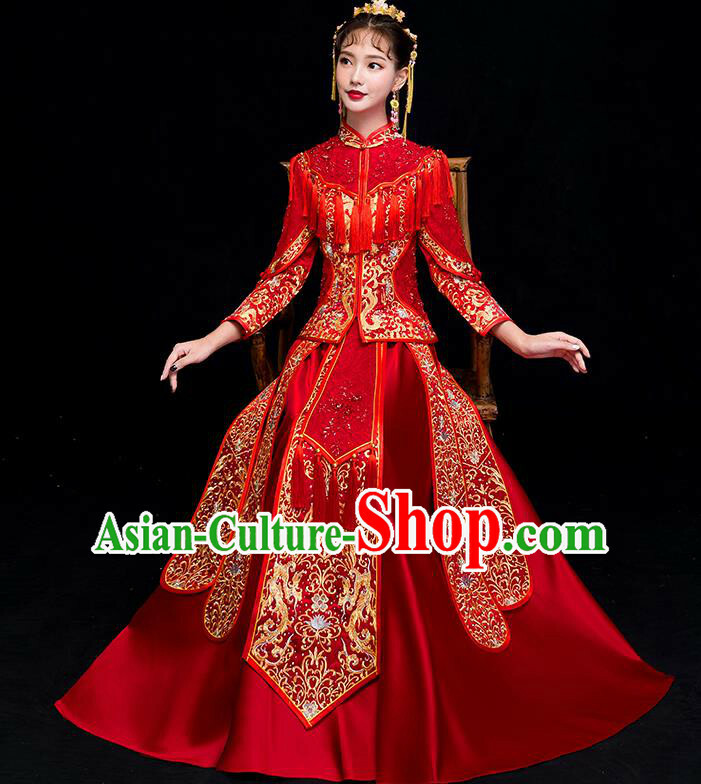 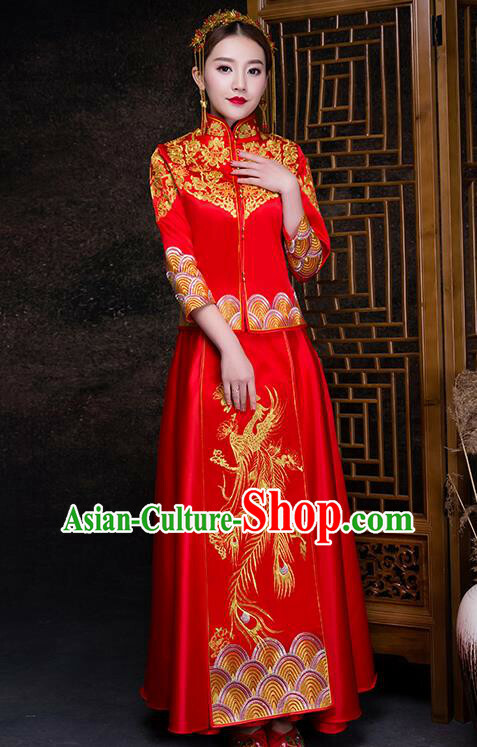 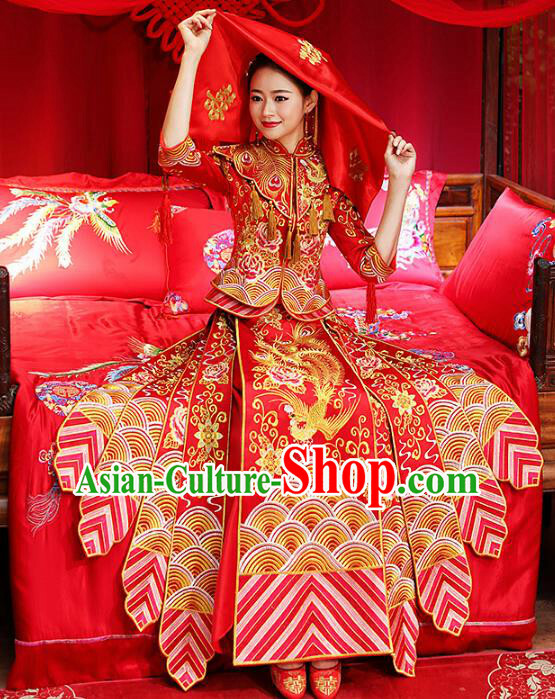 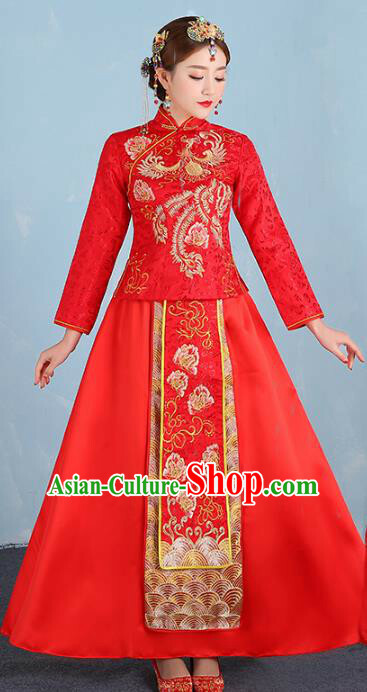 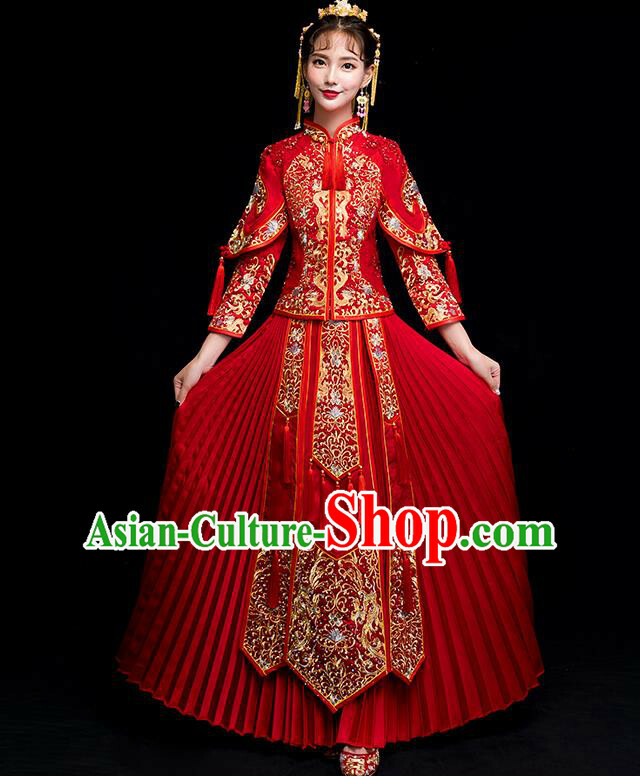 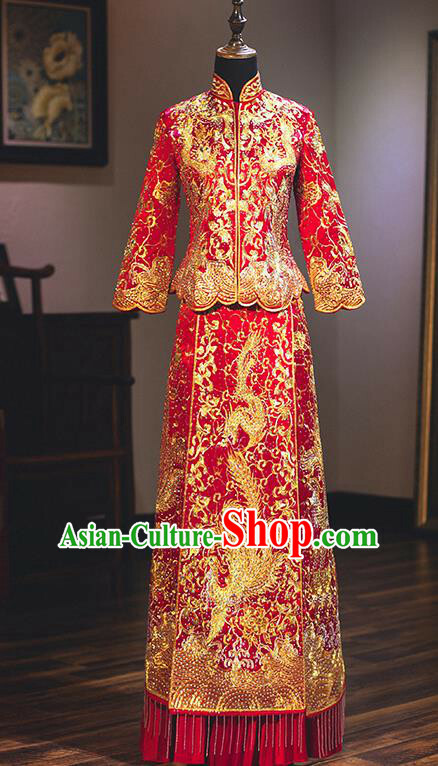 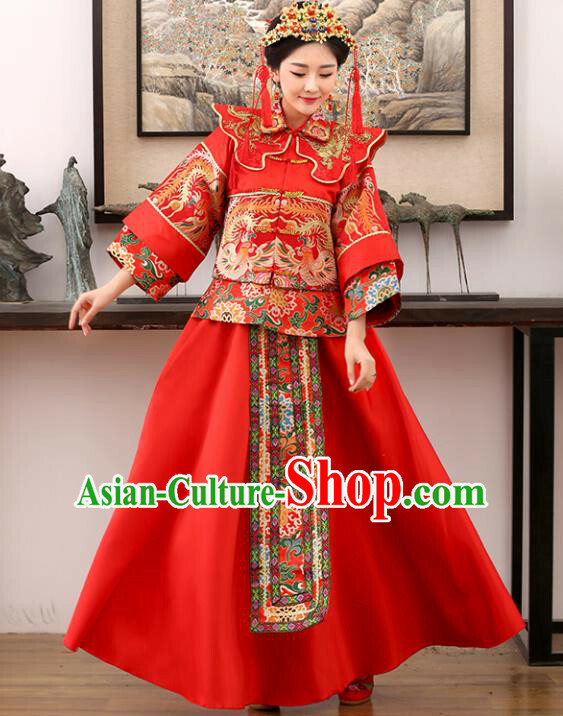 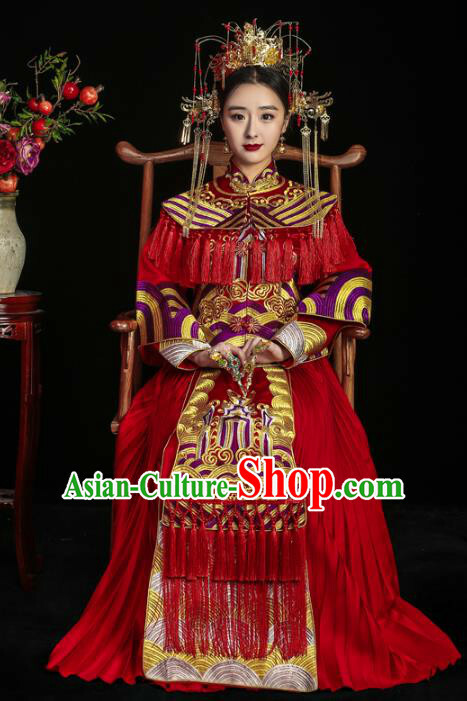 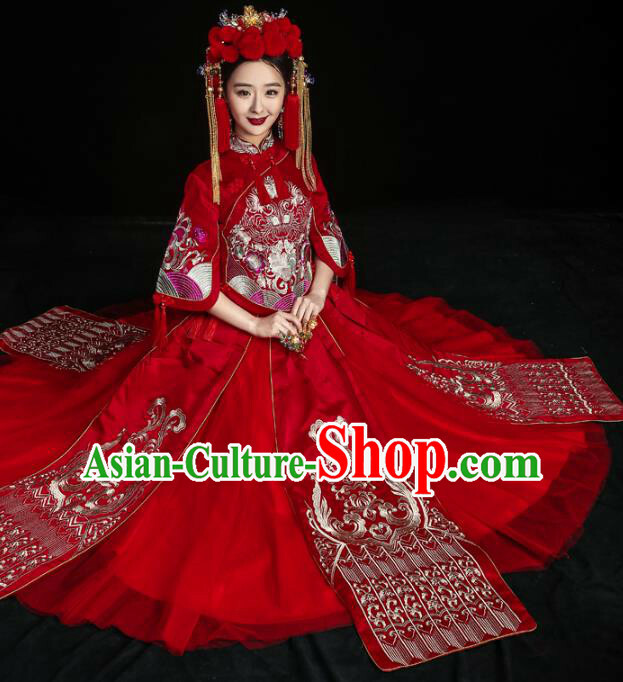 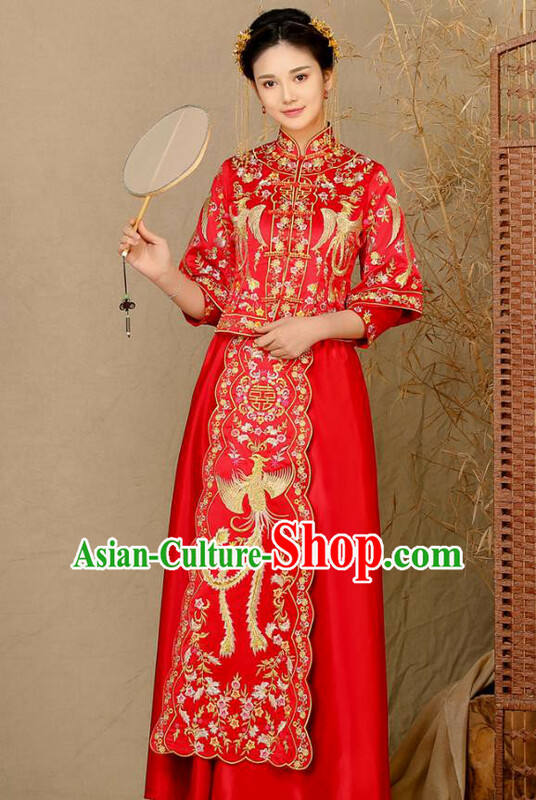 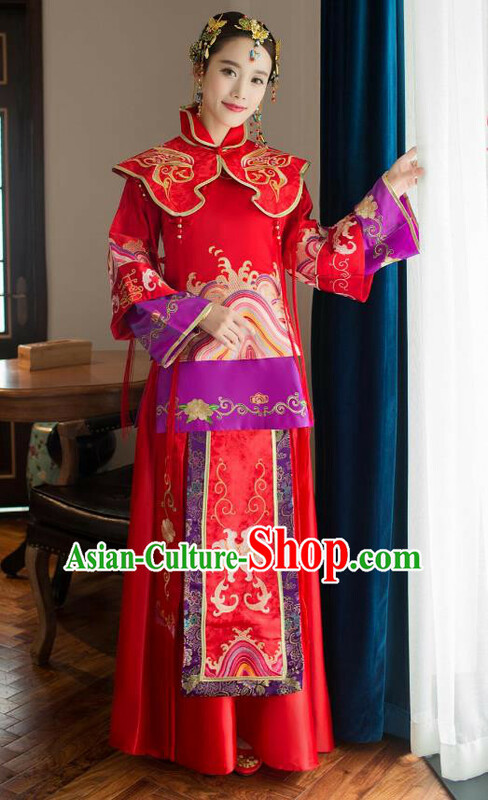 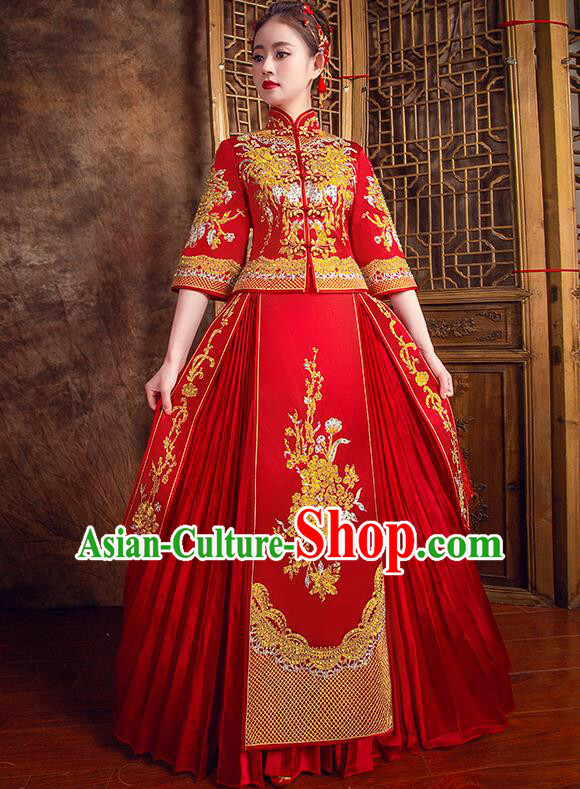 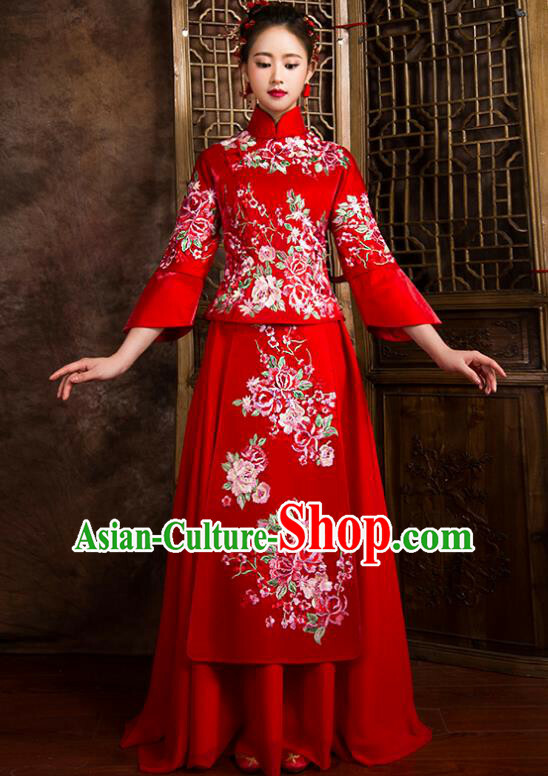 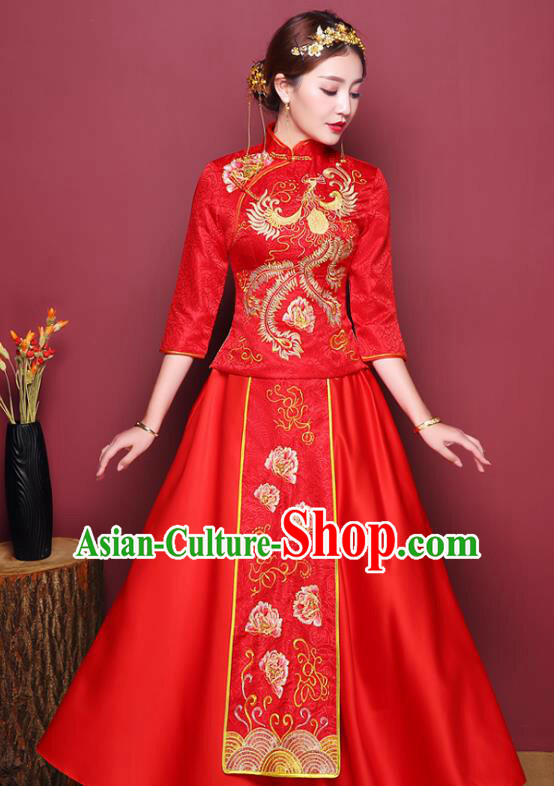 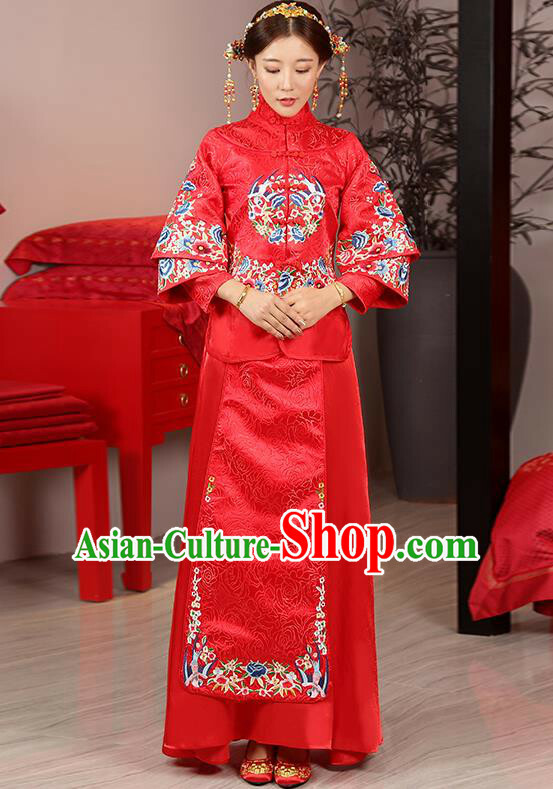 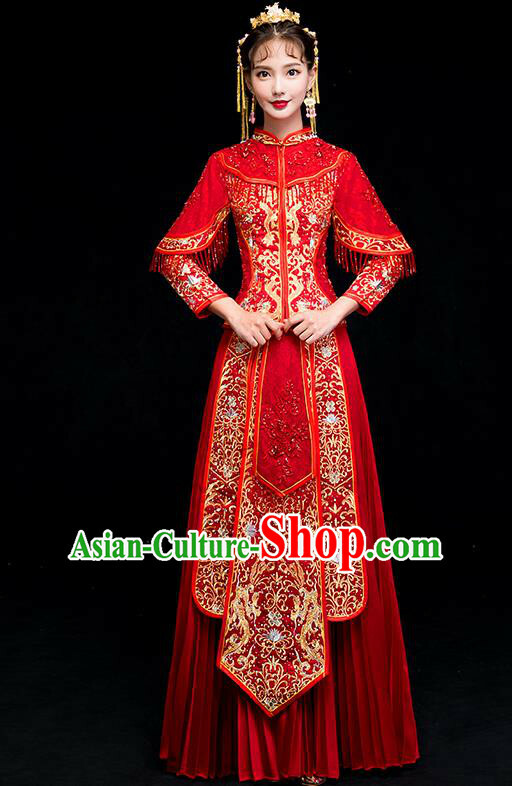 For enquiry of Chinese Traditional Wedding Bride Costume Xiuhe Suits Chin...?